A Day in the Life of a BasqueStage | eat. write. smile. The application process for the next round of the BasqueStage opens February 20th, and I hope lots of cooks are considering the opportunity to come live in Spain. We’ve already shared some photos from our excursions throughout the País Vasco, so I thought it would be illuminating to share what an average day looks like- at least on the Fish Station- at Martin Berasategui. In addition to descriptions of the restaurant and my tasks, I’ve included even the mundane details, because I hope to provide a rich portrait of my day. I’ve done this type of Day in the Life blog before; it helps me catalog my experience and it reminds me how much I’m learning on a day to day basis. 7:00 Alarm goes off. Hit snooze. 7:12 Backup alarm in bathroom goes off, get up. 7:15 Make coffee, eat breakfast of granola, yogurt, kiwi and juice. 7:43 Grab mise en place for the day- swimsuit, goggles and cap for midday workout, towel; side towels for two services, apron, knife roll, cap, and… jacket. 7:56 Realize jacket is terribly wrinkled. Scramble to heat up iron and get jacket to professionally admissible, non-wrinkled state. 8:05 Grab umbrella, walk to work while rocking out to Madonna “Burning Up” to get my mind right. Throughtout Lasarte, there are signs pointing the way to the restaurant. 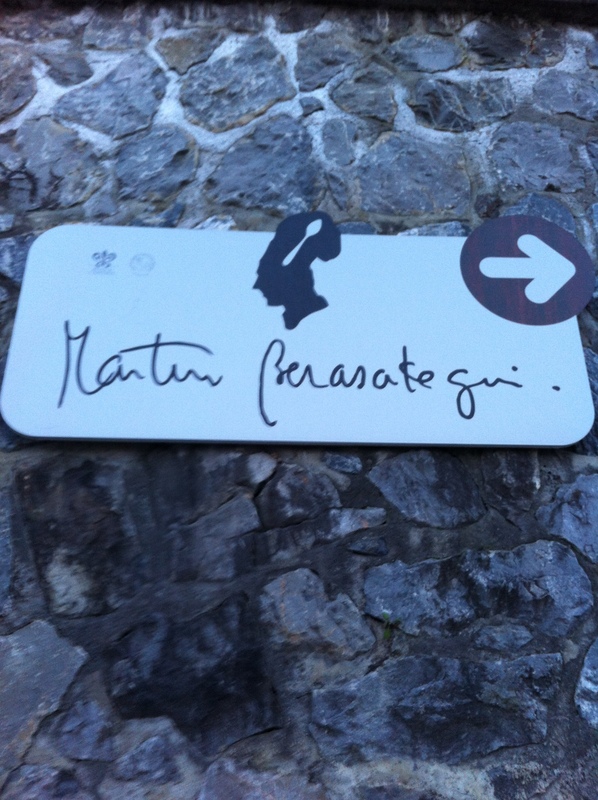 8:15 Arrive at Martin Berasategui, change into uniform (my CIA-issued black pants and white chef jackets). 8:30 Set up station: get pans, cutting boards, nine pans and stock pots out. Light plancha. Put water on to boil. 8:50 Look at reservations book, note how many covers we have and how the tables are broken down. Cesar likes to start the morning with a nice, cold flat fish. 9-10 Mise en place wakame (seaweed) salad- rinse salted wakame in cold water three times, wring out. Lay leaves of wakame out on cutting board, cut out fibrous central “bone” and trim leaves into parallelograms of 2 cm. Blanch in salted boiling water, shock in salted ice water. 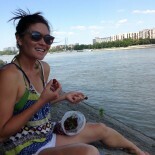 Divide into mise cups of 5 grams of wakame per person depending on table reservations. Sunday– make alginate bath for sperifications. (75g alginate to 10L water). 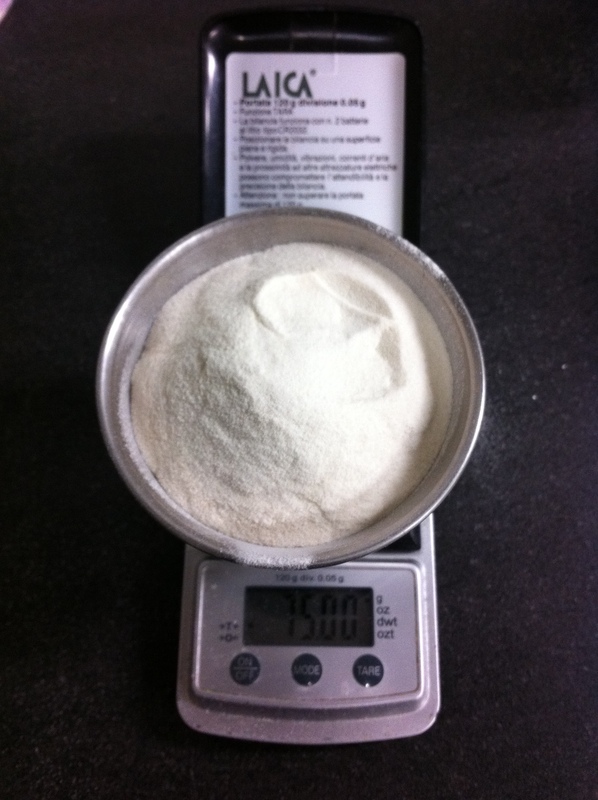 Have to weigh out exactly 75 grams of algin powder to achieve the proper density. 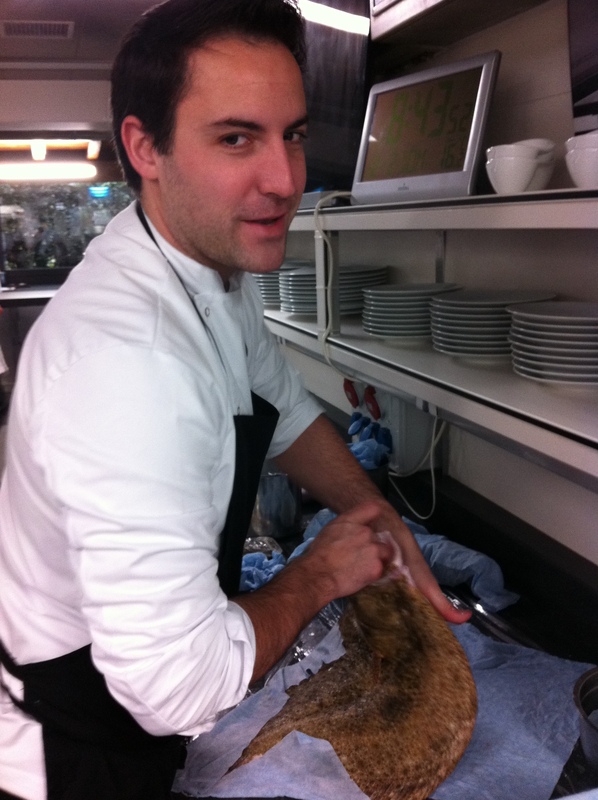 Saturday– Pull pin bones from salmonete filets with David (from Sevilla). I try not to damage surface of flesh too much, but we cannot leave even one stray pin bone. 11-11:40 Assist Cesar (from Argentina who now lives in Tarragona, northeastern Spain) and Diego (from Bilbao who commutes back and forth on the weekends) with crujientes de pan and de arroz- fried crackers made with paper thin dough or round chips of black rice. Deep fry for 2 seconds to get crispy texture without browned color. 12-12:30 Eat lunch- anything from ensalada rusa (diced potatoes and carrots tossed with mayonnaise and canned tuna) to ham sandwiches or spaghetti and mussels. Family meal is one of the best times of day because we sit down on stools, chat and relax for a few minutes. I’ve worked in restaurants where you eat family meal standing up, while working on other things, shoving food in your mouth from a plastic deli container. Somehow, the act of sitting down for family meal civilizes us. 12:30 – 3:45 Lunch service. Back to the fish station. My job during service is to dress the wakame salad that I prepared earlier in the morning. When the salmonete dish is fired (it’s the penultimate savory dish on tasting menu), I take the mise cup with the preportioned wakame and toss with a light dressing of sesame oil, soy sauce and lemon juice. Then I add julienned spring onions, almonds and chives and bring to pass for chef de partie to plate up. For the lenguado (sole), I also make spheres of guindilla pepper puree, using the alginate bath I make on Sundays. If neither the salmonete nor the lenguado is required, I observe the other cooks on station. 3:45-4:30 Wash dishes and then help other station members sweep, mop and wipe down counters. 4:50-6pm Work out at Lasarte-Oria Polideportivo, the municipal sports complex. Most days, I swim laps. This workout is the most peaceful part of my day. It’s also a great way to keep work in perspective, because I see non-restaurant people going about their business, and thus I remember that work is only one aspect of life. 6-6:15 Shower at gym. In the women’s locker room, there are always tons of little kids changing with their mothers. Every day, I marvel at them speaking in Euskera, a crazy language to listen to because it’s difficult to know when words end and when new ones begin. So far, I’ve learned Konduz (be careful) and Agur (goodbye). 6:15 Head back to restaurant for dinner service. 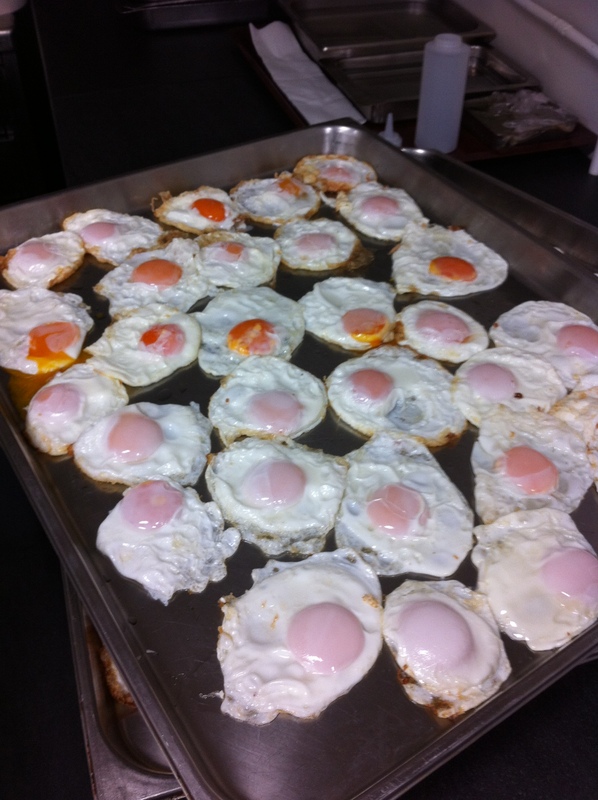 6:30-7:30 Back to set up station- relight plancha, get all equipment out again, start mise en place again. I repeat the wakame salad preportioning, and when done with that, I peel the brown paper skin off almonds. 7:30 Make crujientes de pan and arroz again with Cesar and Diego. Get yelled at for whistling while I work. 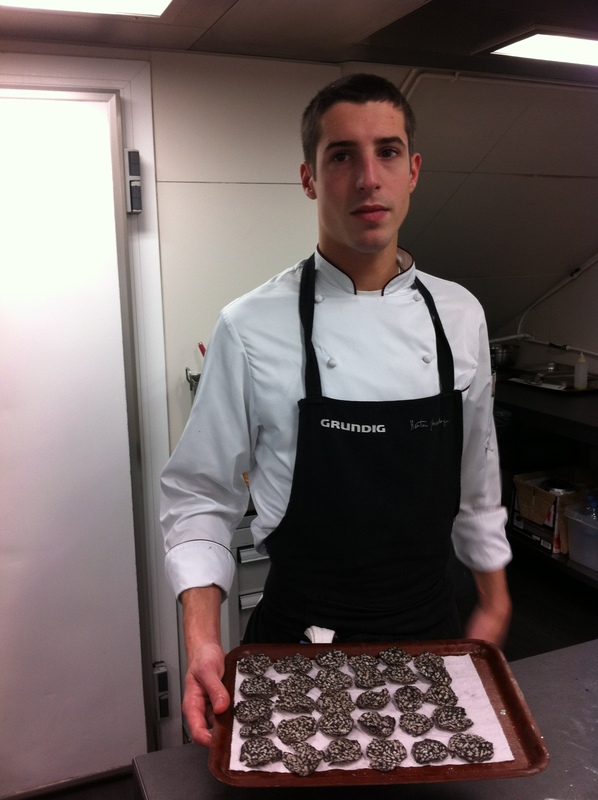 An unusually solemn Diego offers up some crujientes de arroz- puffed black rice crackers. 8-8:20pm Eat dinner. I tend to sit at the same table with the same four guys. I’m not sure how we ended up there, but we squeeze between two deli slicer machines and enjoy baguettes, broccoli, bacon- whatever the prep crew has made for us. Gotta fry a lot of eggs to feed a crew of this size. 8:20-11:30 Repeat lunch service. I dress wakame salad, make guindilla spheres and observe service. 12:15-12:30 Sweep and mop floors. Head home. 12:45 Arrive at home, and I am reminded how incredibly lucky Elisha and I are to have our own apartment. Many of the stagiaires at Martin Berasategui live in the basement of the restaurant, where there are bunk beds, bathrooms and little privacy. I don’t get to enjoy the camaraderie they share from living together, but I do get my own bathroom. 1am Make a cup of tea, and treat myself to a chocolate bar. Check email, see message from Sammic marketing team about upcoming demo video filming. In the next two weeks, I am responsible for adapting the script from Spanish to English, and also conceptualizing how to demonstrate the functions of the Sammic machines. Though I’m excited to work on translation and video production, I realize it’s time to go to sleep. I tell myself I’ll work on it tomorrow. 7am, next day: Lather, rinse and repeat. WOW I love that you shared this…great insight into your exciting life!! Thanks! I really liked your a day in the life post here. It sounds eerily familiar to my stage experience in Spain that mid day siesta is about the only way you can make it through the day with out going crazy. I wish we could do that in the US. Enjoy the rest of your time in Spain and check out my spot Hisop in Barcelona if you get a chance. That’s funny that my experience is similar to yours. I just posted a link to a video from the MB kitchen, have a look and see if our experiences look alike too. Thanks for reading! Im heading to BCN in june, i will your restaurant out. 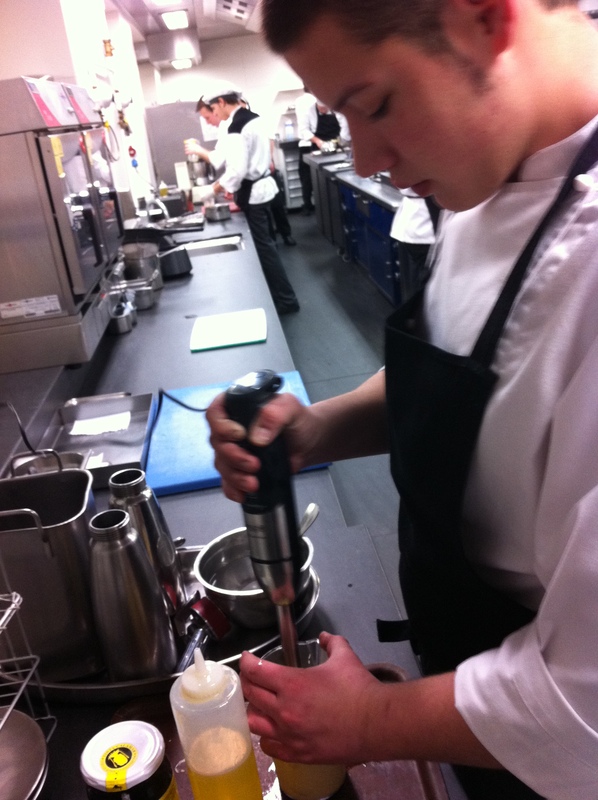 Say hi to people in the aldea kitchen, hope all is well with you. 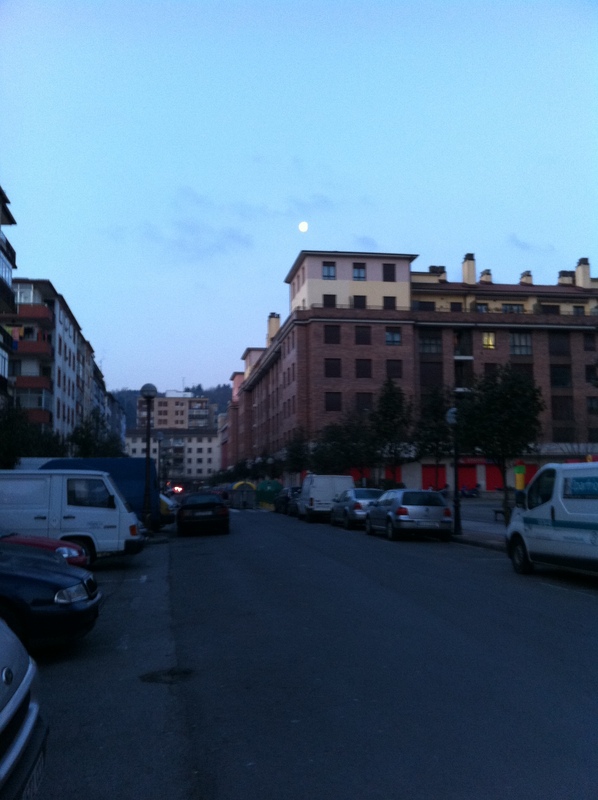 This entry was posted on February 13, 2012 by Ruthie in BasqueStage, Berasategui and tagged BasqueStage.